Danner's most popular work boot, the Danner Quarry™, is now made in Portland Oregan. Featuring a new Vibram Quarry outsole and an upgraded single, solid piece midsole, longevity of this boot is higher than ever. The collar liner has also been updated to be instantly comfortable, and the placement of the triple stitching has been re-engineered to reduce wear and tear over time. The Quarry highlights a true craftsman’s attention to detail, featuring a rich full grain leather upper that is 100% waterproof and breathable thanks to the GORE-TEX® lining. 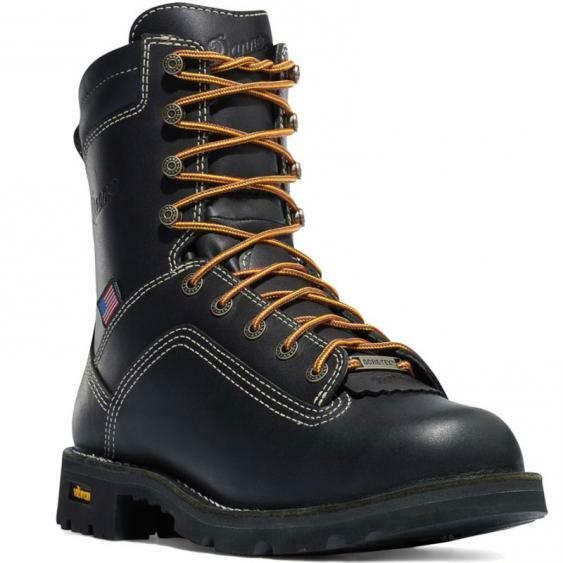 The classic work boot, now made in the USA...the Danner Quarry USA GTX Alloy Toe.